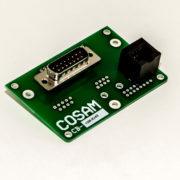 When installed on a CCT-100 custom cable tester, this board will be a continuity tester for cables having a 25 pin male D-Sub connector. 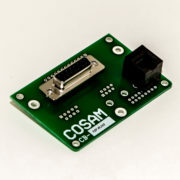 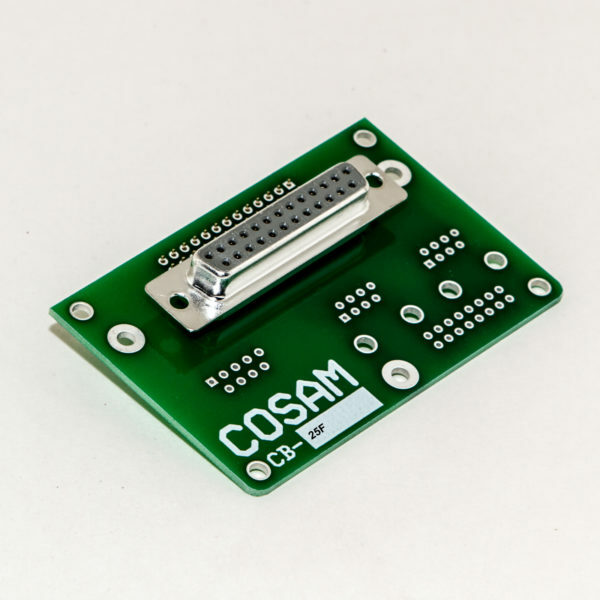 25 pin cable tester board snaps into the CCT-100 to enable rapid testing of cables with a 25 pin D-sub male connector. 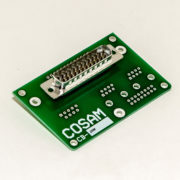 This one uses 25 of the 26 available test points per connector.